The Government policies leading to the “new” Australian norm of living in fugly, high density, concrete, intensive-farming-like containers … is causing Australians to lose ACTUAL OWNERSHIP. Whilst there may be legislation for compulsory acquisitions, if you live in a STRATA situation, the current legislation means that Developers can approach an Owners Corporation to vote on whether they agree to sell the building to them. And depending on the “deal”… the Owners may receive a fair or not fair payment. The Developer/majority Owners will control your fate, and you may well lose your location to established relationships and support services and groups. Should private citizens be allowed to force the sale of a neighbour’s property against his or her will? Let’s ask the question another way: is it fair that just one neighbour, or maybe a small group of neighbours, should be able to block the sale or redevelopment of someone else’s property? When it comes to collective strata sales, the answer isn’t obvious. Strata title is the most common form of apartment ownership in Australia. It gives each owner ‘title’ over their own unit and shared ownership of the shared space. Three million people live in them. In most states (except for NT and NSW), 100% of the owners have to agree in order to terminate a strata scheme and sell the block of units. The need for achieving a unanimous decision makes it difficult for ageing buildings to be sold and redeveloped in order to increase urban density. 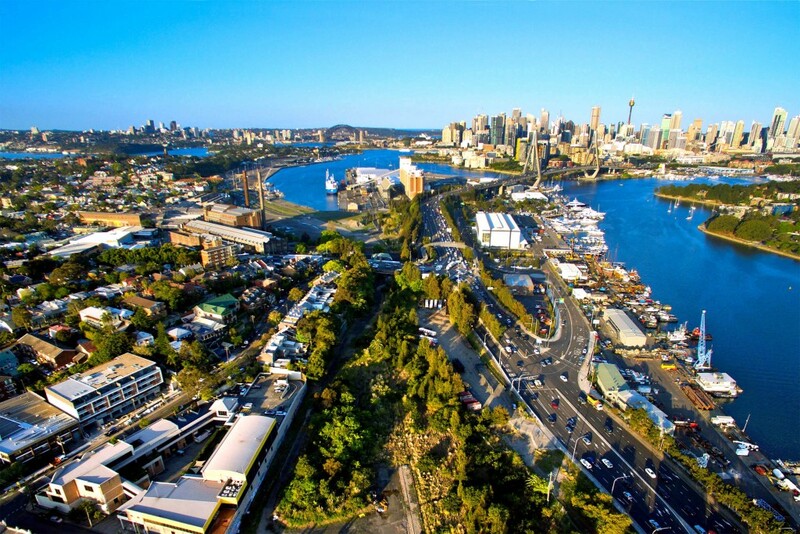 Until 2016, only 1.1% of all the strata schemes in NSW had been terminated since 1961. Economists, at least since 1838, have understood that attempts to assemble complementary resources can be plagued by the holdout problem. A new law, which commenced in NSW in 2016, intends to remedy it. Only 75% of the owners in a strata will have to agree in order to sell or redevelop a site. Early in 2018 the Land & Environment Court issued preliminary decisions in two cases in Sydney. It’s easy to see more will follow due to inherent problems with the solution. First, the urban redevelopment benefits might not materialise. There’s no requirement for the properties developed to be replaced by properties with increased density. Second, the legislation gives private citizens a power previously only available to the government: the power to compulsorily acquire someone else’s property. Given the cultural and legal importance of property rights in Western societies, violating those rights is a big step. Third, the law says the terms of the settlement must be “just and equitable in all the circumstances”. This can be taken to mean the market value of the lot and other costs, such those of moving. But market value is problematic. The market value of the entire block sold as one will often be much more than the sum of the market value of each unit sold individually. And the market value of an individual unit might be insufficient to purchase a replacement in the neighbourhood after the redevelopment takes place. The property might be an investment which, if sold, would be subject to capital gains tax. After payment of the tax, the owner might have insufficient funds to purchase a suitable replacement. And existing owners are likely to value their property higher than the market, otherwise, the property would already have been sold. A premium is justified, but how much? The legislation doesn’t define the highly subjective concept, “just and equitable compensation”. It provides no guidance as to how to separate the true subjective value to the owners from what they might be asking for just because they’re holding out to inflate their financial gains. We believe it is. Most people didn’t want to see a single owner holding out on a development purely for personal financial gain. On the other hand, most don’t want to see a vulnerable resident removed from their home against their wishes. The method we propose in a working paper coauthored with economists from Florida State University and University of California Santa Barbara assigns to each owner a right to a defined fractional share of any collective sales proceeds, equal to his or her proportion of the overall market value of the whole building, as assessed by the independent valuer (the shares add up to 100%). Then, each strata owner specifies the lowest price at which he or she is willing to sell. Consider an owner called Jo whose share is 10% and who nominates $1.2 million as the compensation she wants (this may well be more than the valuer’s estimate of the market price of Jo’s apartment). For Jo to receive $1.2 million, the whole building would have to sell for $12 million. Thus Jo, by nominating her required compensation as $1.2 million has, in effect, set a reserve price of $12 million for the whole building. Every owner does the same, each setting the building’s reserve price. The highest of these building reserve prices becomes the actual reserve price and it is what matters: when it is met, every owner will get at least what they asked for. Wouldn’t the owners all nominate unreasonable and untruthfully high prices? It turns out our scheme gives the owners a financial incentive to set a truthful price, that is to nominate the lowest prices at which they would voluntarily sell their individual properties. If they set a price too high they run the risk of the sale falling through and getting nothing. It’s an idea that could be applied in other contexts. The sale of group water rights in the Murray Darling Basin is one. For decisions to sell strata-titled units, the scheme would require the appointment of a neutral agent to receive the individual demands for compensation and to set the (secret) reserve necessary to ensure no collective sale is made unless all demands for compensation are met. It would eliminate the incentive for holding out. Any collective sale that took place would be unanimous, satisfying the NSW law and also the laws of the states that require 100% agreement. There’s nothing to stop it being adopted voluntarily, on a case by case basis, now, as an option that will get the best result for development and owners within the laws that we have got. 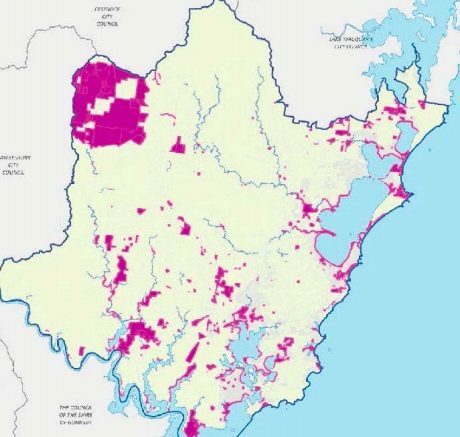 The principles that will be used by Central Coast Council to decide whether or not to claim interest in parcels of Crown Land included in the NSW Government’s Crown Land Negotiation Program, have been finalised. Before the NSW Planning Minister decides to vest a parcel of Crown Land in the Central Coast Council, he must be certain that it meets one of three “local land criteria”. The first is that the land provides, or potentially provides a public good for residents in the LGA, or an adjacent LGA, consistent with local planning principles. The second criteria is that the land’s use is, or could be, consistent with the functions of local government. Finally, the Minister must be convinced that the land is, or could, be managed as a community asset by Council or another body. To meet the first principle, Central Coast Councillors on the Negotiation Program Committee will be looking to declare an interest in open space and recreation land zoned RE1, including active sporting and recreation facilities, and passive parks and recreation facilities already managed by Council. It will also be making a bid for aquatic infrastructure that it already manages, and for Crown Land required for future sporting and recreation facilities and future parks. Another type of land the Council will express interest in during the Negotiation phase will be existing recreation pathways managed by Council that are not within public reserves, and land required for future recreational pathways. It will call for bushland and natural areas to either be vested to Council or remain in public ownership. Likewise, it will bid for future biodiversity corridors that are in strategic planning reports. Central Coast Council will also bid to take ownership of waterways and coastal reserves that it currently manages. It will argue for those waterways and coastal reserves that, according to Council, are required for nature conservation to remain in public ownership. In terms of land consistent with local government, Council will ask to be vested ownership of its existing operational facilities and Crown Land required for future facilities. Cemeteries, waste facilities and holiday parks already owned, operated or managed by Council, will also be bid for by Council, along with heritage cemeteries managed by Council. It will bid for land required for future commercial enterprises or for extensions to existing enterprises. Central Coast Council will ask the Minister to vest to it existing water and sewer assets, and land required for future water and sewer infrastructure. It will also ask to take ownership of Crown Land that falls within the drinking water catchment area. Existing road, drainage and infrastructure on Crown Lands and land required for future roads, drainage and infrastructure, including car parks, will also be subject to expressions of interest from Council. Waterways and coastal protection infrastructure should either be vested to Central Coast Council or remain under the NSW Government’s control, according to Central Coast Council’s negotiation principles. So too should Crown Land required for future waterways and coastal protection infrastructure. Other assets that Council will express interest in include emergency management assets and infrastructure (existing and future), and telecommunication facilities. In terms of land managed as a community asset, Council will bid for existing community facilities it uses, occupies or manages, and those occupied or managed by another organisation or reserve trust, along with land required for future community assets. All land vested to Council should be classified as community, which means it cannot be sold. There is, however, a window of opportunity, for Council to argue for reclassification of land as operational, which would mean it could be sold via a resolution of Council. SOURCE link is not included as we received a “hacker” warning. This post was prepared prior for our website! The December 15 application was made over three months before the proposed M9 route was made public, The Daily Telegraph reported. A Chinese property giant paid almost $70 million for land on the new M9 orbital corridor three months before the route was publicly announced. Country Garden forked out $69.88 million to acquire six chunks of land belonging to 90-year-old Beryl Rofe and her family late last year. 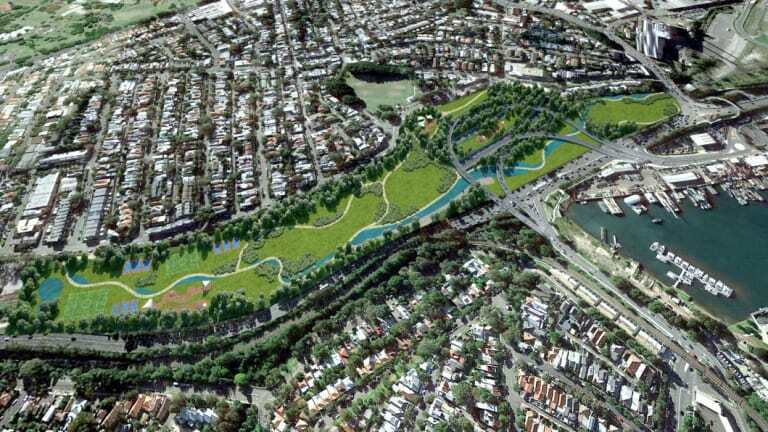 The Hong Kong-listed company then made an application to the Greater Sydney Commission to build an M9 interchange on its 364 hectare site. 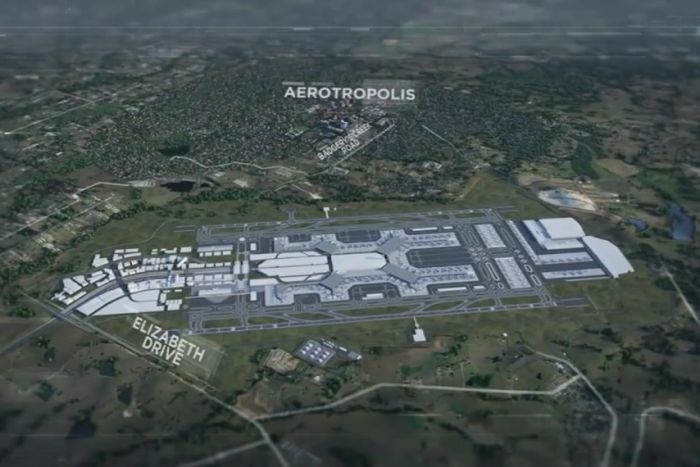 The 200m-wide M9 Orbital Outer Sydney Orbital corridor will link growth areas in the south-west and north-west of the city with a motorway and freight rail line. After the proposed road path was unveiled, hundreds of rural homeowners were suddenly told they would lose their properties. The Wise family said they were informed by letterbox drop that their 32 hectare dream home – bought in 2015 for $4.05 million – fell within the corridor and would be demolished. ‘We were absolutely gutted when we found out,’ Mrs Wise told Daily Mail Australia. ‘We found out from a leaflet put in our letterbox, and by watching the six o’clock news, there has been no communication from Transport NSW. The Wise family have been told they will have no recourse if the government uses mandatory acquisition to take their land. Nor have they been informed about compensation – Mrs Wise said they have no been told when the land would be acquired, or how much they will be compensated. ‘We spent seven years looking for this place, where we live with our in-laws and my husband runs his trucking business, now we stand to lose everything we’ve worked for,’ she said. Ms Rofe did not comment on the sale of her land at Cawdor, south-west of Sydney, and a tenant of hers, 92-year-old Judy Geelan was unaware of the purchase price. 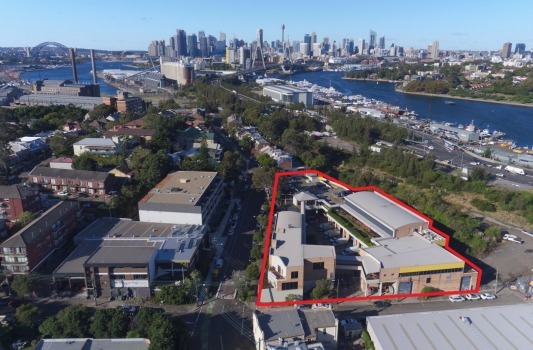 Country Garden asked the Greater Sydney Commission in December to recognise their new site under the Regional and District Plan. The lobby effort is related to the plan’s provisions for high density housing built to satisfy demand created by population increases. ‘The current alignment of the M9 Orbital is anticipated to pass through the northeast corner of the site, with potential for an interchange at Remembrance Drive,’ Country Garden’s application stated. 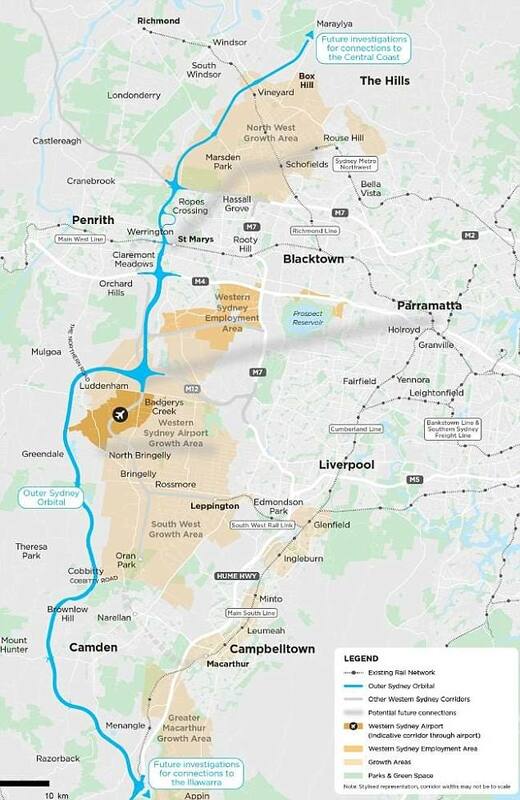 Consultation on the M9 Outer Sydney Orbital corridor ended on June 1. Daily Mail Australia contacted Country Garden for comment. Previously if the Government changed their mind about needing your property they would offer it back to you … however to bypass this the government is offloading the property to another government department rather than offering it back … We understand this is what Perrottet has done, and it seems that is why they are fighting the Desane decision. To date the NSW Government appeal against the Desane decision is awaiting decision … it may be a couple of weeks away or months away! If Desane wins this the NSW Government is ***ked if they try the same thing again! WE have on good information that if the NSW Government wins, Desane will take the matter to the HIGH COURT! This legislation as it stands destroys lives! The community must fight back; toss this LNP out and their Cohort of lobbyists, politicised bureaucrats and politicians! View the link for what went through Parliament; Part 71A only; there were other changes. required for the public purpose for which it was acquired. the public purpose for which it was acquired. review of decisions of authorities and other matters arising under this section. interest in land is not affected by any contravention of this section. the benefit of this section. land if it is sold by a willing but not anxious seller to a willing but not anxious buyer.